From firmer, more youthful-looking skin to improved joint comfort, Adashiko promises a host of health and wellbeing benefits. Editor Trudi Brewer discovers how a spoonful of this powerful collagen powder should be an essential part of your daily beauty regime. One of our favourtie ways to drink Adashiko, is with hot almond milk, cacao powder and a teaspoon of honey. It's no secret that collagen has a key role to play in the health and appearance of our skin, hair, joints and nails, so when we heard about a new 'super collagen' supplement that promises to promote wellness and healthy ageing inside and out, we were more than a little interested. Created by Japanese cosmetics developer Yuko Arquette in 2013, Adashiko offers a range of high-quality, ingestible collagen that is easily absorbed into the bloodstream, where it immediately gets to work. 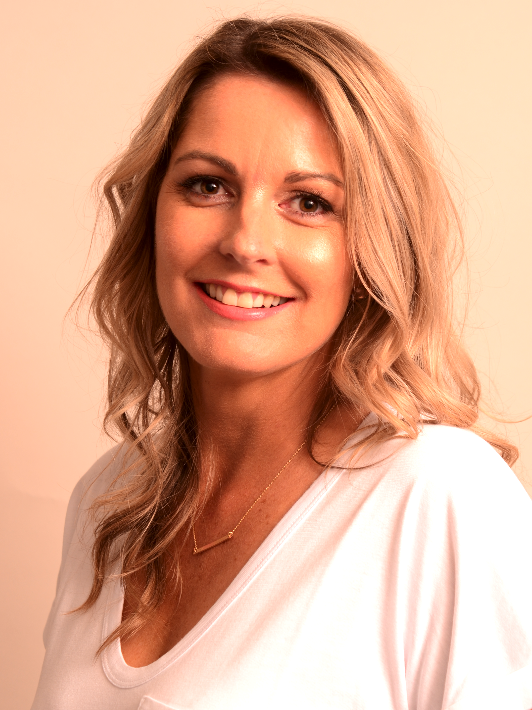 Today, Adashiko is owned and run by Hawke’s Bay-based entrepreneur and health enthusiast Luci Firth. Here, she tells us everything you need about this game-changing product. Who can benefit from taking a collagen supplement? Absolutely everyone! Collagen is the dominant protein in our body and boosting your own collagen production helps regenerate all the cells in the body. So, not only will it improve your general health and wellbeing, it will also result in stronger hair and nails, firmer, more youthful-looking skin, and increased joint mobility and comfort. What is different about Adashiko collagen? Adashiko collagen is known as 'super collagen' because of its incredibly small molecule size. The Japanese are global leaders at producing the finest peptide collagen and ours is pharmaceutical grade with the smallest molecular weight on the market (3000 Daltons, for those in the know! ), making it the most readily absorbed into the bloodstream. In addition to our high-grade, 100% natural peptide collagen, our supplement powders also contain 50mg of vitamin C, which further helps the absorption process. We have developed three unique formulas to support the body, skin and joints (Pure, Ultra and Joint), all of which are completely tasteless and odourless. Once ingested, the low molecular weight of our collagen means it is easily absorbed into the bloodstream and carried to cells in the body, where it sends a signal that stimulates fibroblast and cartilage cells to form new collagen. It’s the easiest way to get the right dosage (you’d have to take a lot of pills to get the equivalent) and powder is better absorbed by the body. The minimum dosage to make it effective is 5g or one teaspoon per day, and each pack contains a measuring spoon to make the dosage easy. In saying that, I'm taking 10g a day because I’ve just had ankle surgery and I am trying to speed up the healing process. What is the best way to take your daily dose? The purest way is simply to mix it into a glass of water – it’s tasteless, odourless and transparent, so you won’t notice it at all. You could also add it to your morning smoothie, sprinkle it on food or add it to a bliss ball mix. We have even made collagen mimosas! Our formulas are heat stable, so you can add it to your tea or coffee without affecting its efficacy at all. It can be taken morning or night – it’s entirely up to you. Most people notice stronger nails and fuller-looking hair within the first two to four weeks. By weeks six to eight, many people report an improvement in skin firmness and texture and also in joint comfort. Everyone is unique and results will vary according to age and diet, but it can also improve gut health, the appearance of scarring, and if you have an injury of any kind, it can speed up the tissue repair process. We recommend at least three to six months of Adashiko use to experience the best results. What other products are in the Adashiko range? In addition to our three potent collagen powder supplements, we have also developed a Collagen + Noni Gel, Men’s Facial Gel Energise, and Collagen Gel Masques, which are applied topically to soothe, hydrate and renew the complexion. Adashiko Collagen Pure, one month supply $86. Adashiko Collagen Joint, one month supply $96. 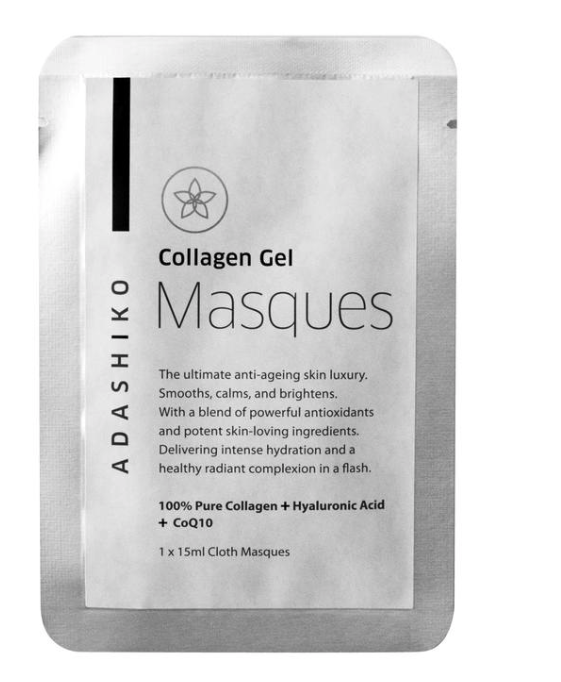 Adashiko Collagen Gel Cloth Masque, $12 each. Adashiko Collagen + Noni Gel, from $65.